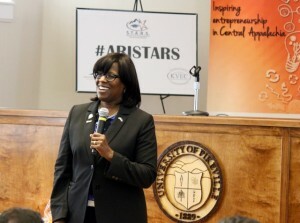 In the midst of Global Entrepreneurial Week, November 14-20, taking place across 157 countries, Kentucky Lieutenant Governor Jenean Hampton spoke to student business owners in east Kentucky. 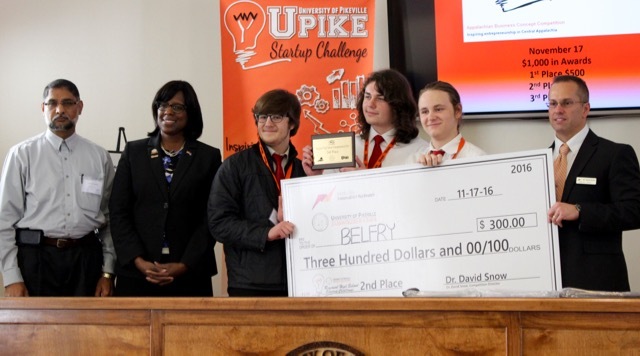 Phelps High School team, PierSmart, won first place for their water filtration technology at the Kentucky Valley Educational Cooperative Regional High School Entrepreneurial Challenge, while both runner-ups provide healthcare solutions. Students from seven east Kentucky high schools competed Thursday for $1000 in start-up cash for unique and creative business plans they’ve created. 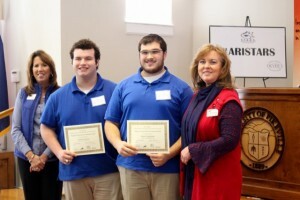 Kentucky Lt. 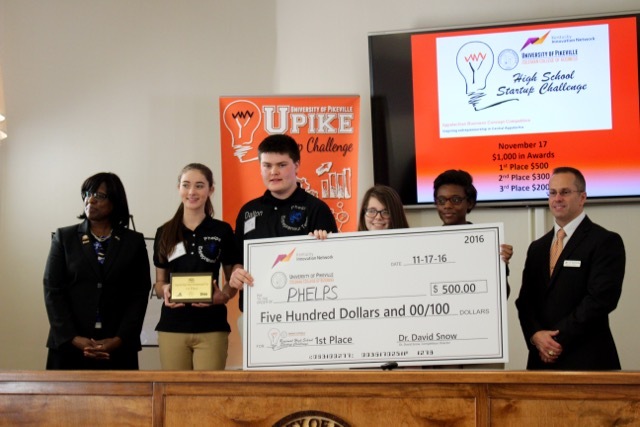 Governor Jenean Hampton joined students, teachers, parents, business leaders, Governor Paul Patton, and University of Pikeville Administrators in the UPike Coleman College of Business to speak about the Lt. Governor’s 1st Annual Entrepreneurship Challenge. 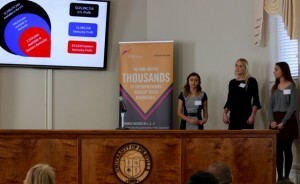 “We’re closing in on $100,000 dollars in cash prizes for the Challenge and the winners could very well be in this room! Right? ” Lt. Hampton encouraged the crowd. After each team made their 10-minute pitch, Kentucky Innovation Network and UPike Startup Challenge judges deliberated while middle grade entrepreneurs presented their award winning goods and services. 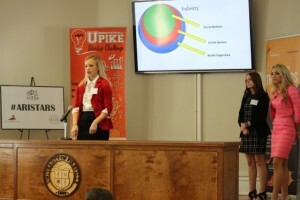 Those businesses similarly involved water and healthcare solutions. 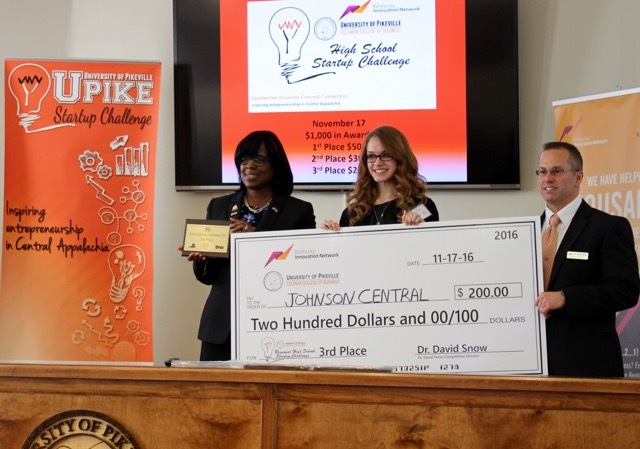 Competing high school teams used 3D printing, app development, coding, and art design to combat issues of fresh water scarcity, poor health, and unemployment. 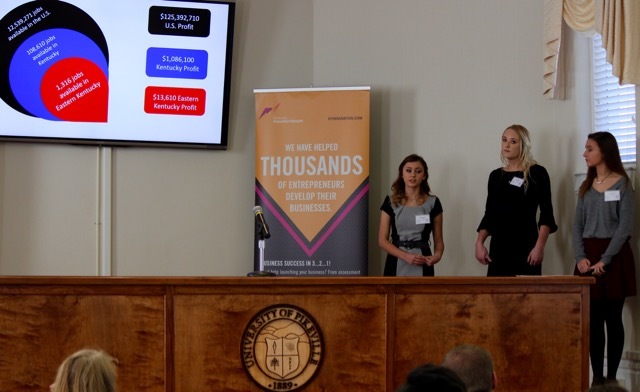 Teams were judged on presentation as well as research, design, finances and cost, marketing strategies, growth potential and more. 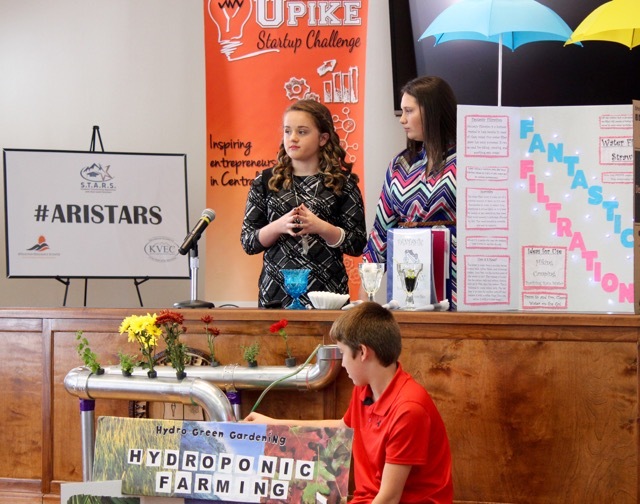 Young leaders in K-12 classrooms across east Kentucky are making it clear they can fuel a new economy in the mountains. The Kentucky Valley Educational Cooperative (KVEC) Race to the Top Appalachian Renaissance Initiative (ARI) hosts these programs and competitions annually, empowering students to be entrepreneurs and community leaders using learning strategies to connect teachers and students to the world. Immediately following the challenge, ARI Student Senators joined Lt. Governor Hampton and regional entrepreneurs for lunch and discussion about their student-led action plans across 17 east Kentucky school districts. 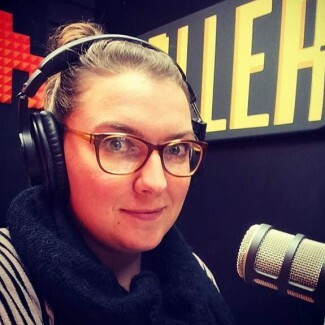 These range from shifting school cultural to gaining student representation on school boards. 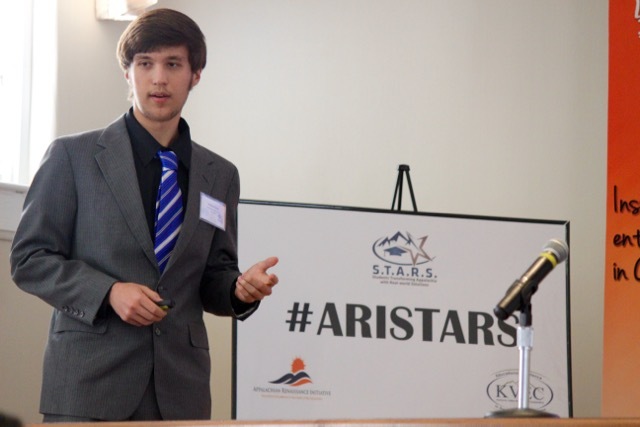 The Student Senate and Entrepreneurial Programs are offered through ARI’s Students Transforming Appalachian with Real-world Solutions (STARS).